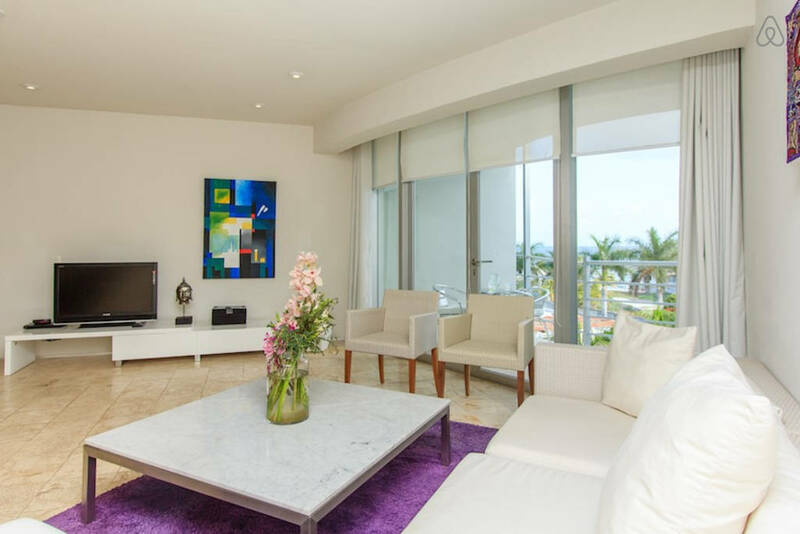 This penthouse condo features three bedrooms and three bathrooms, a fully equipped kitchen, comfortable living room and amazing outdoor spaces. 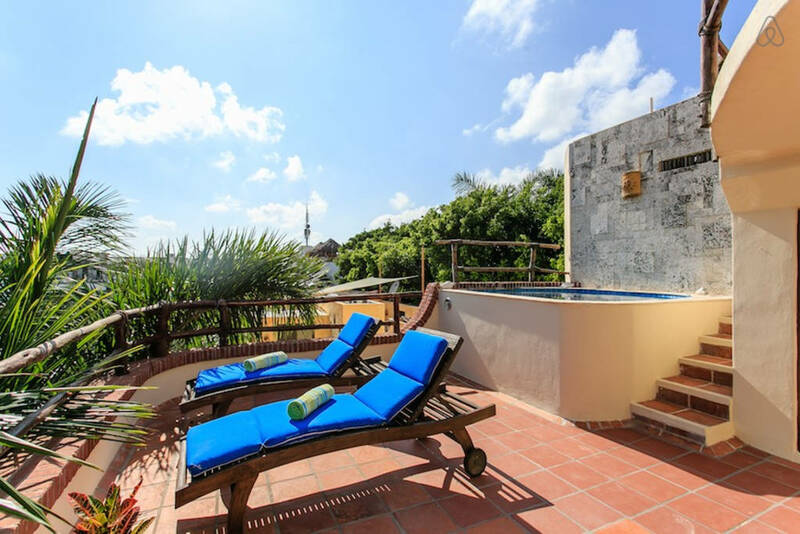 Enjoy dinner on the terrace or head to the private rooftop to have drinks in the plunge tub. 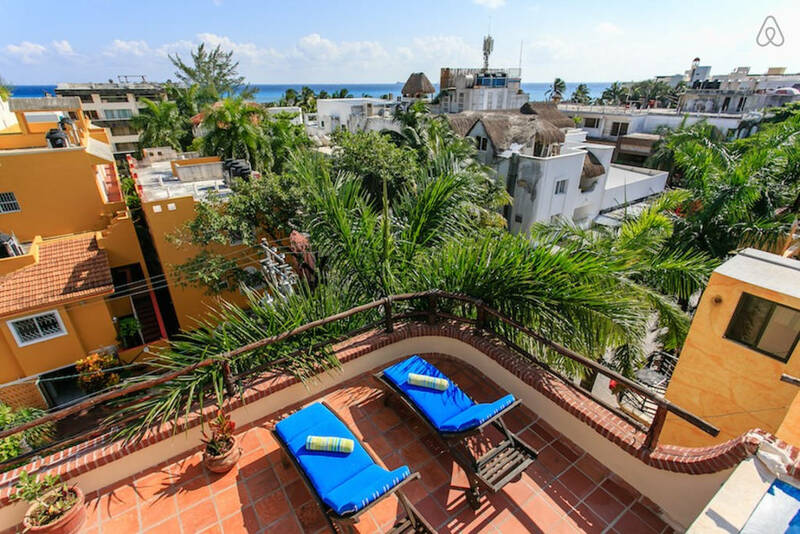 The rooftop terrace features a wet bar, perfect for enjoying a Happy Hour drink and taking in the views. 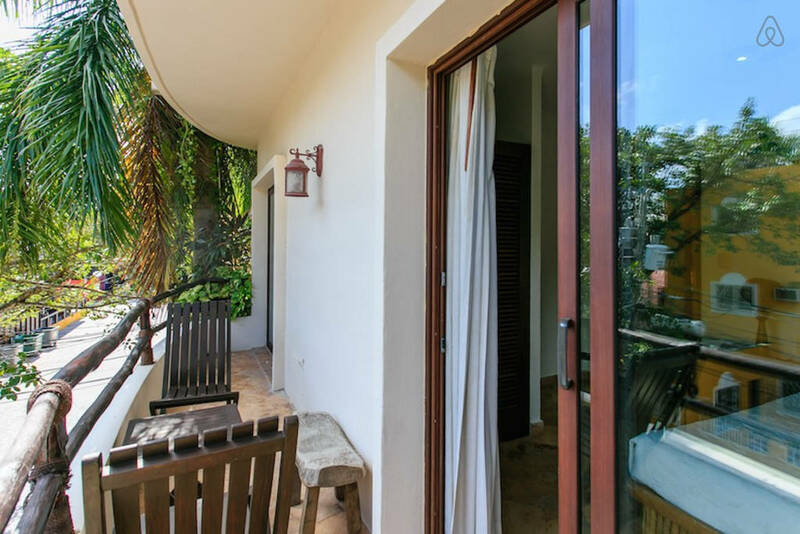 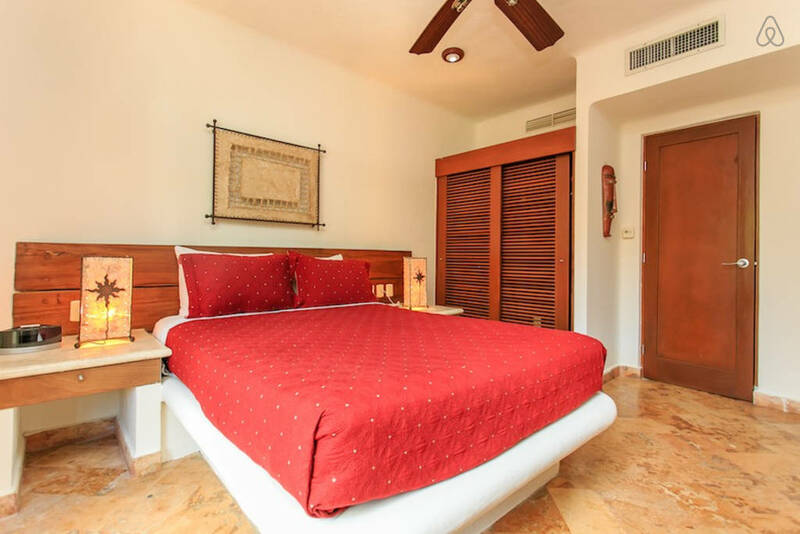 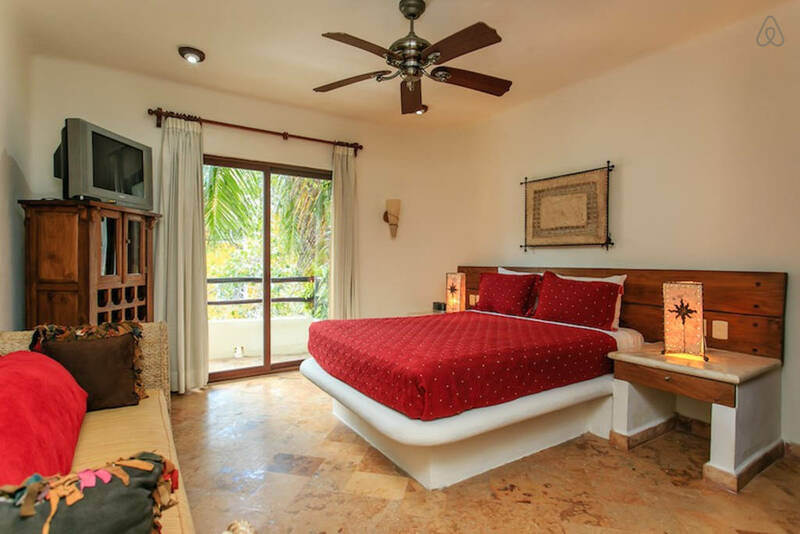 Two bedrooms are located on the lower level; both with a private terrace, the master has a queen size bed and private bathroom, the guest has two twin beds that can easily be made into a king. 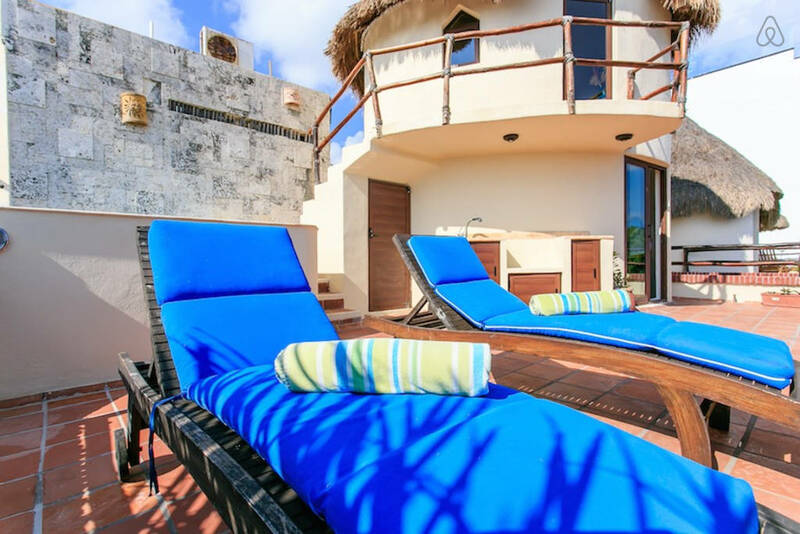 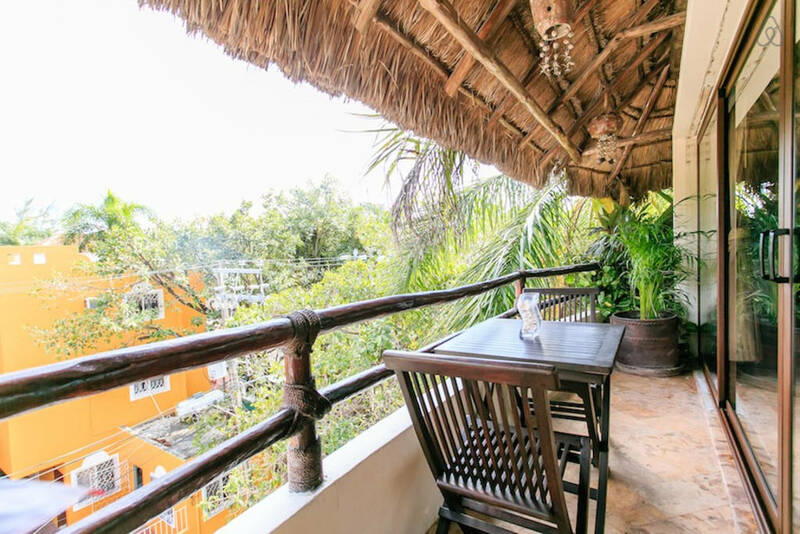 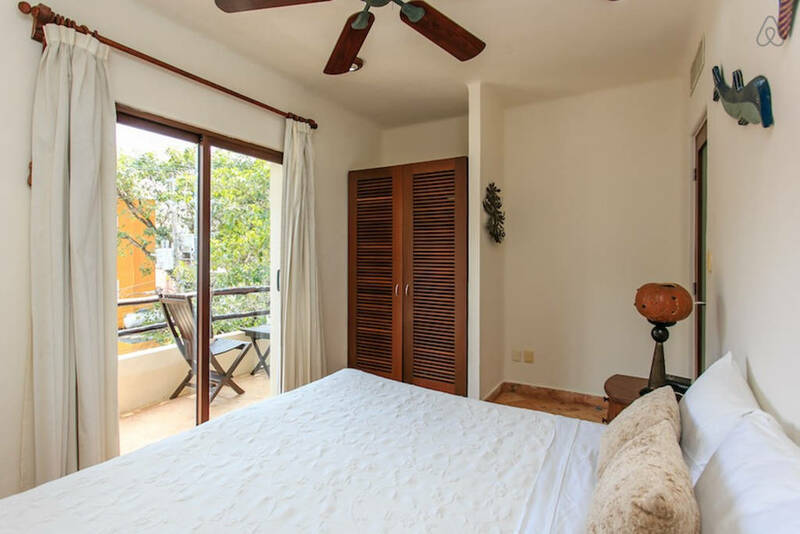 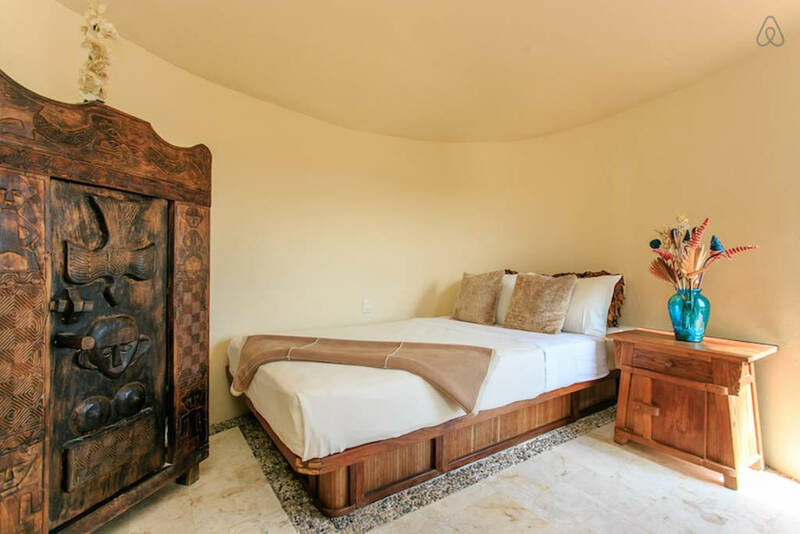 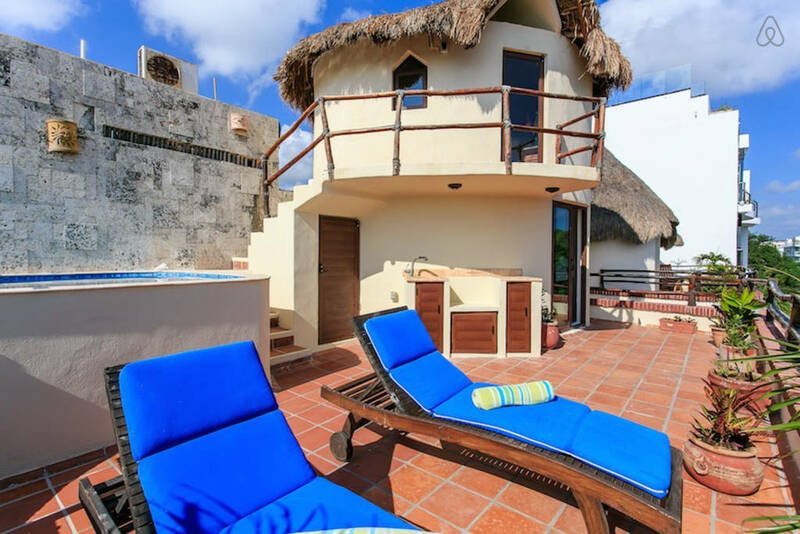 The third bedroom is located in the loft, with beautiful palapa roof, double bed and a balcony with a fantastic view. 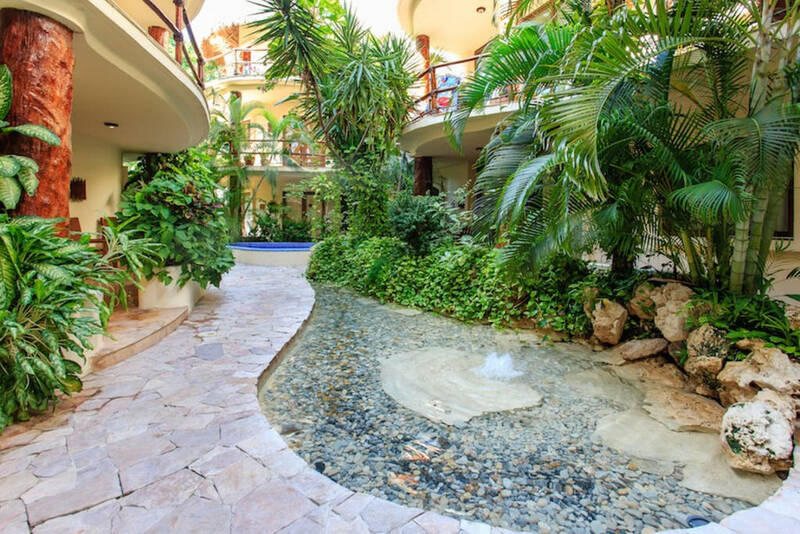 The common areas feature a courtyard with swimming pool. 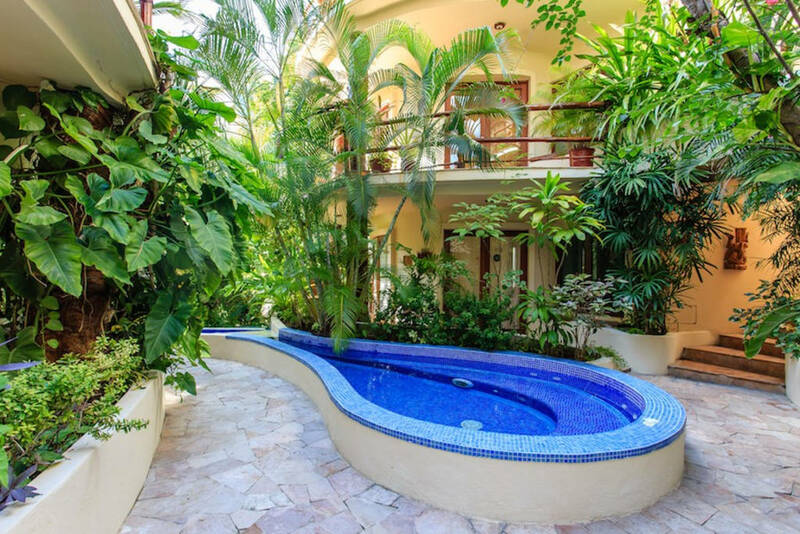 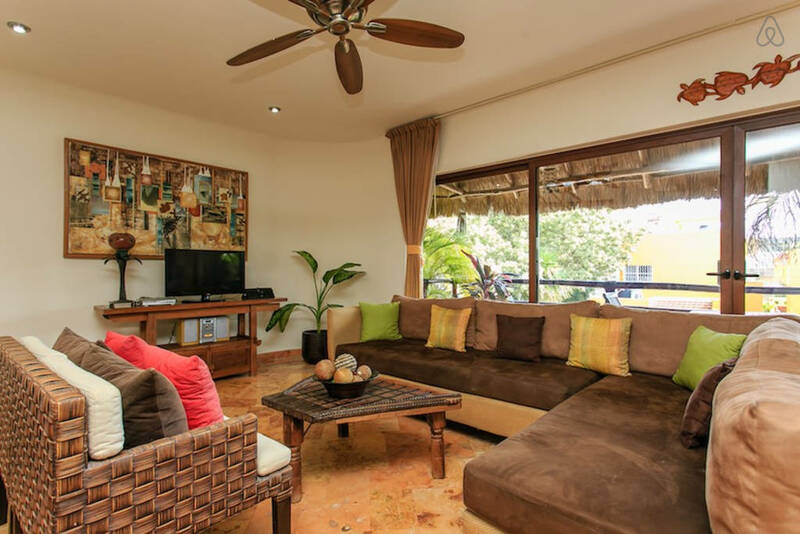 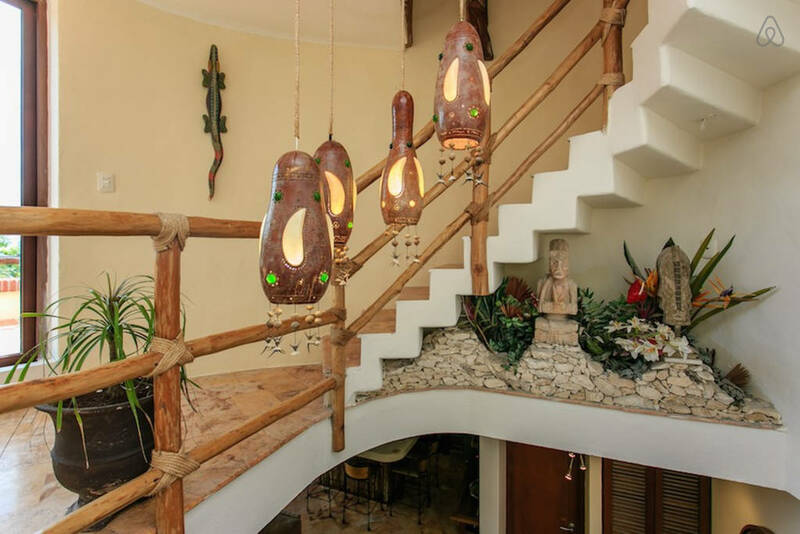 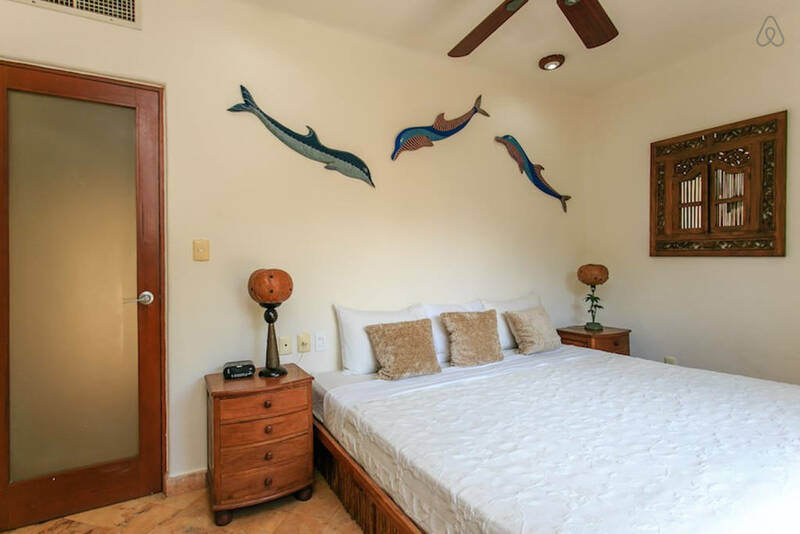 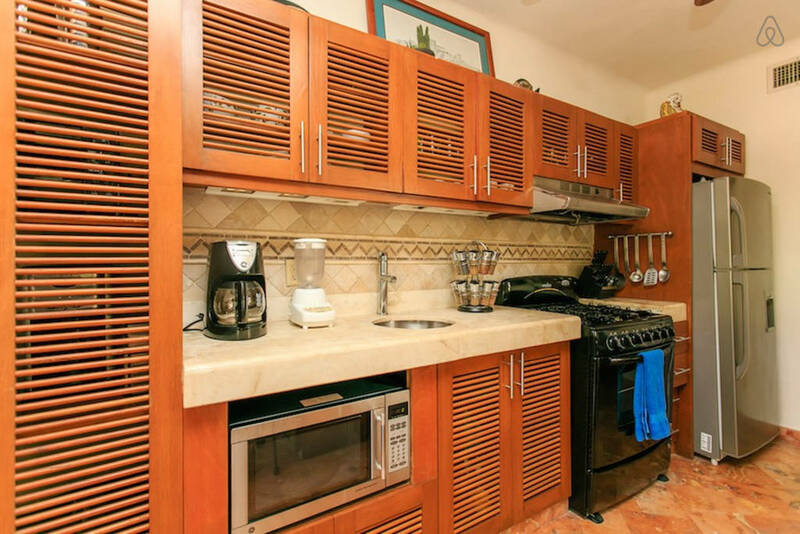 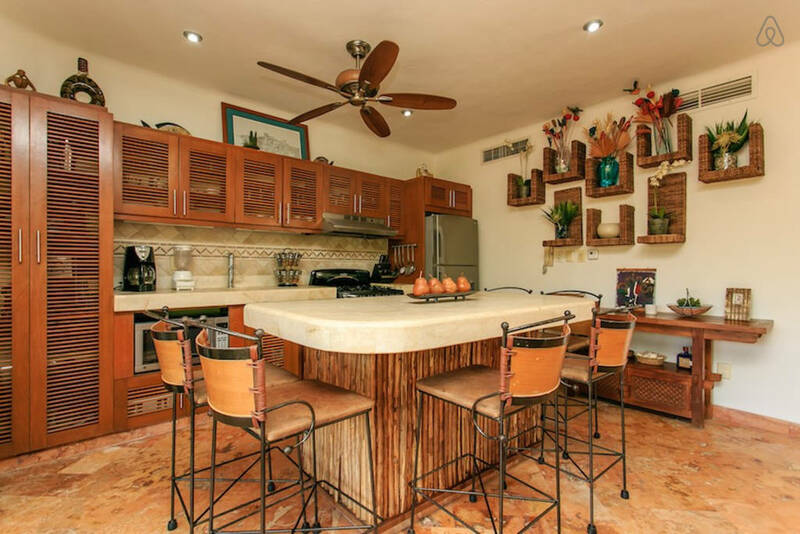 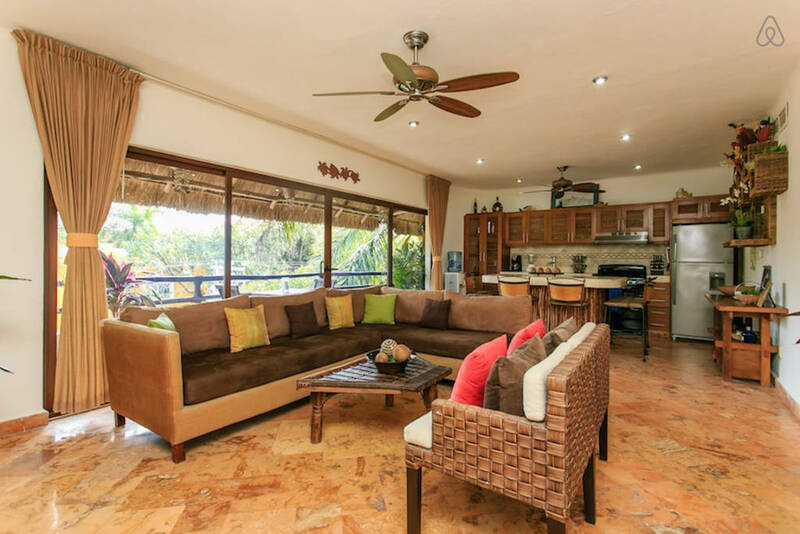 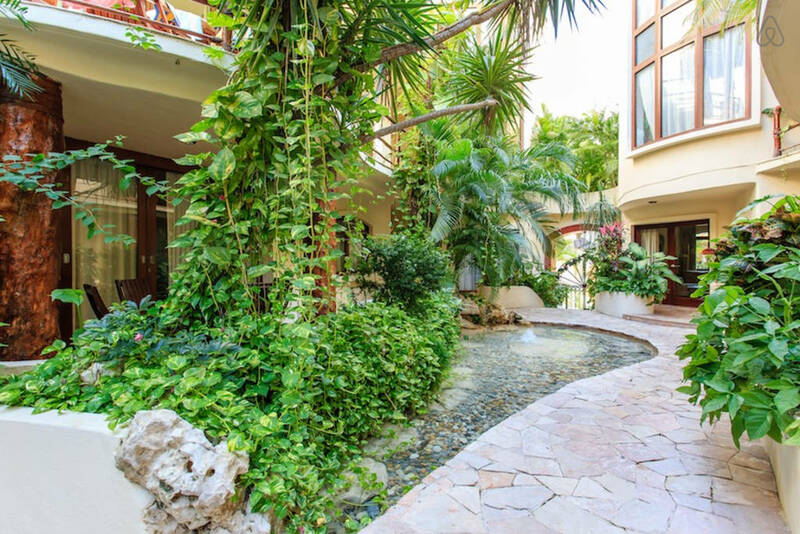 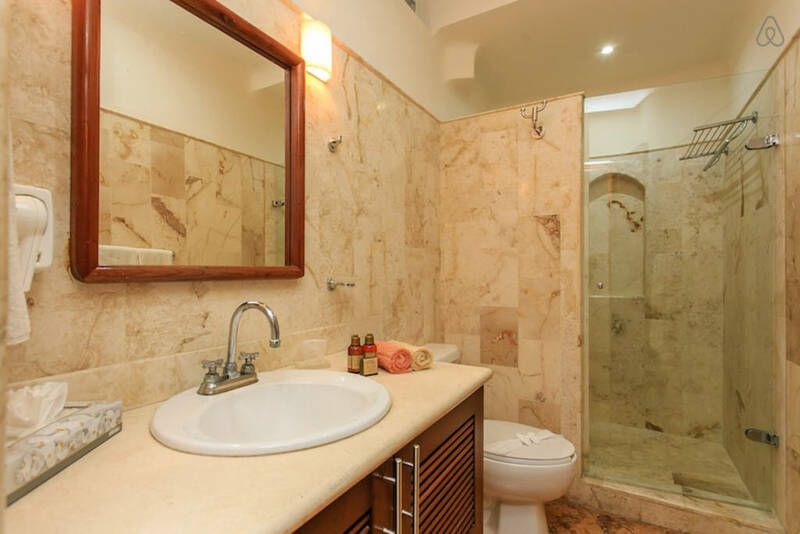 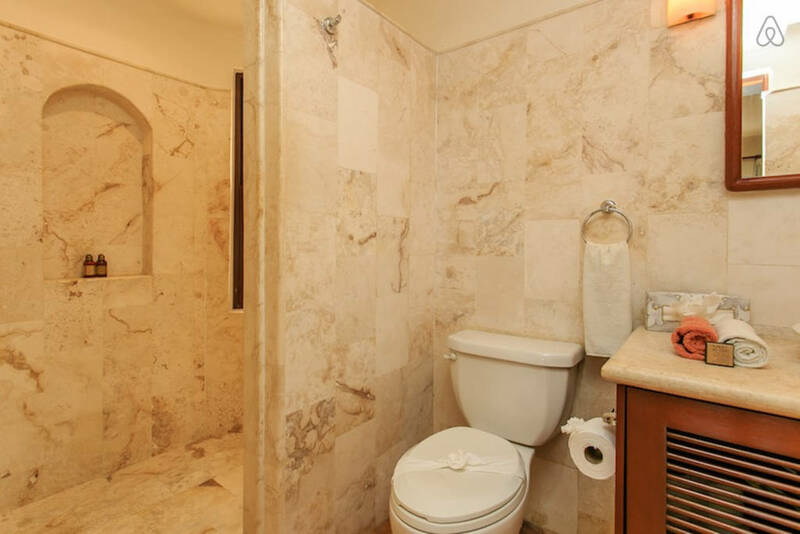 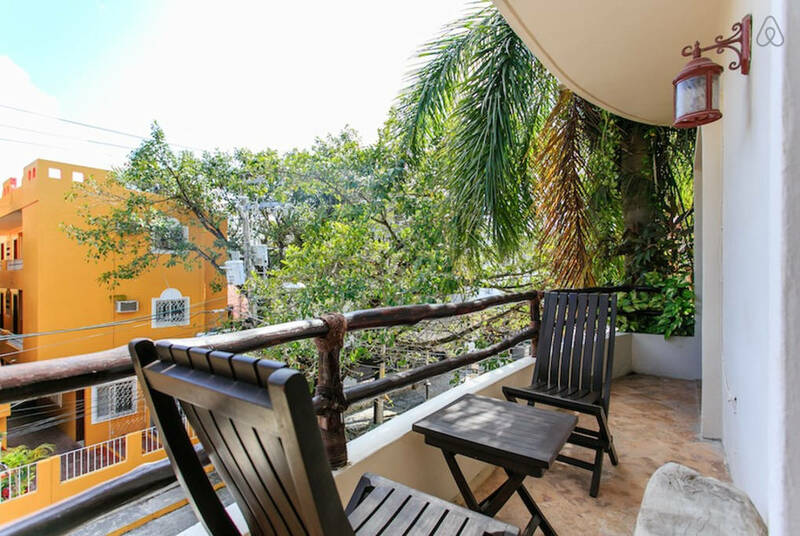 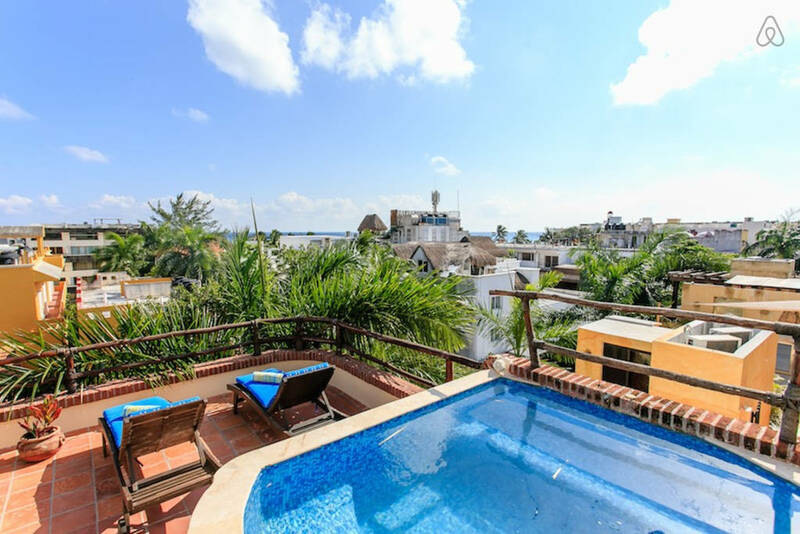 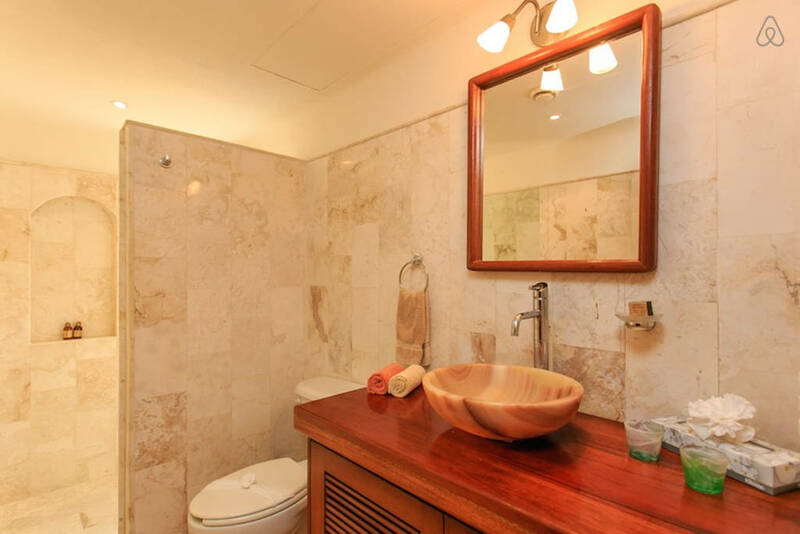 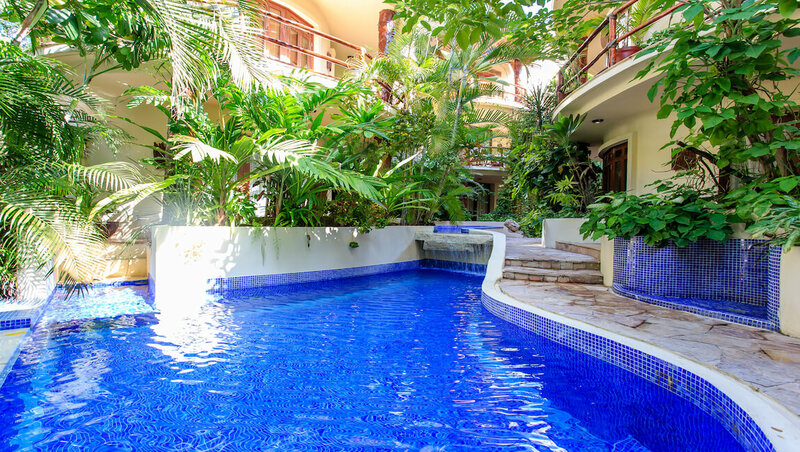 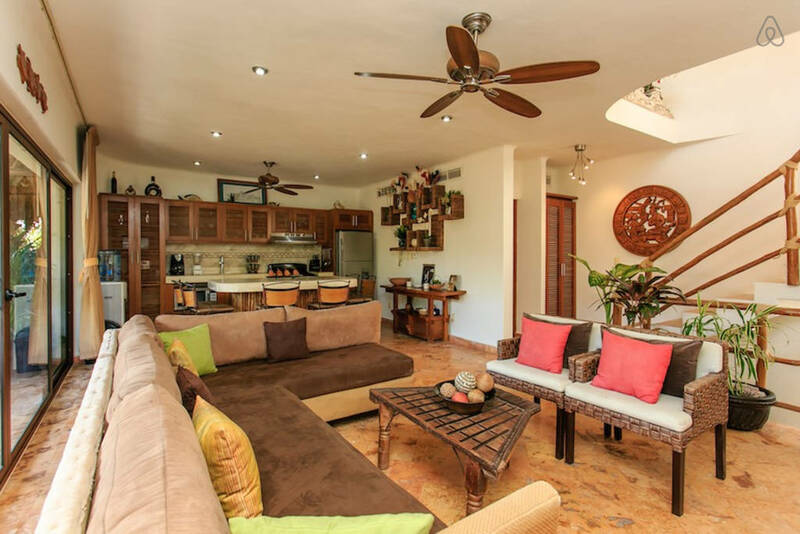 Enjoy this incredible option in Playa del Carmen condo rentals during your next Caribbean getaway!